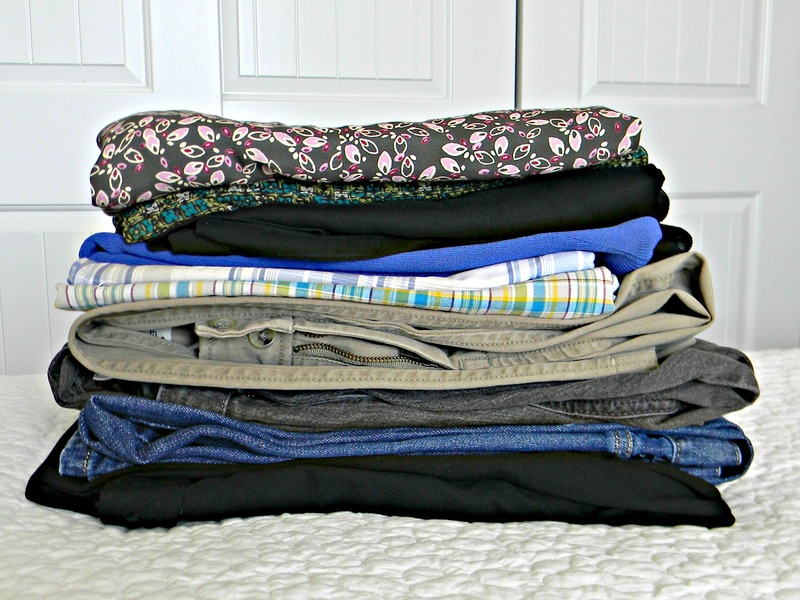 Get your timer and donation bag ready for today’s challenge of organizing hanging clothes. You need to do this quickly and not think about each item for more than a second or two. Go through your hanging clothes looking at each piece of clothing and asking yourself a few questions. 1- Do I like this? 2- Do I wear this? 3- Do I look good in this? 5- When was the last time I wore this? Answer the questions quickly and decide which pieces of clothing are no longer worthy of taking up valuable space in your closet. You are going to love all the extra closet space. Just remember not to turn around and fill it back up. Be mindful of your new purchases. If you are still having a hard time deciding on some pieces of clothing I have another trick for you. 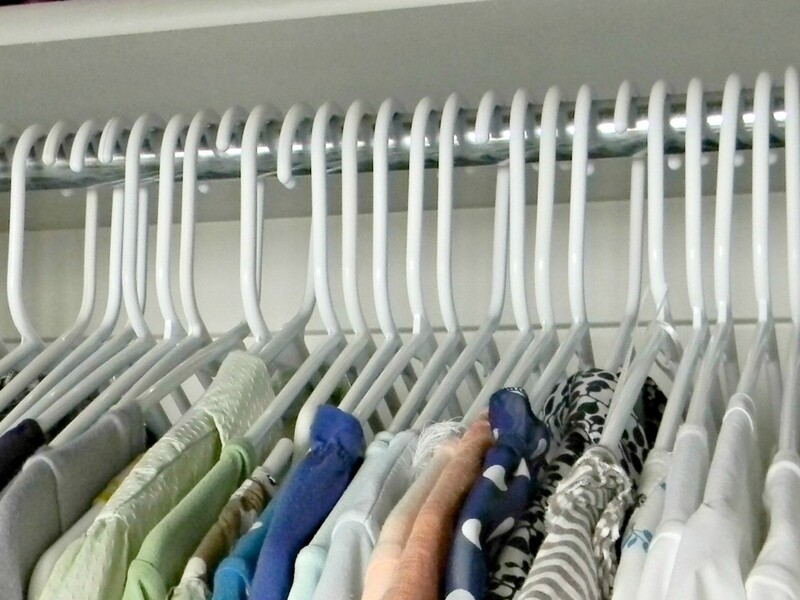 Turn all the hangers around on the closet rod. As you wear an article of clothing turn the hanger around so you know it’s been worn. After 6-12 months get rid of all the clothing you haven’t worn. If you haven’t put it on in a year you probably aren’t going too. Today is also the day to take your donations to the nearest donation center. 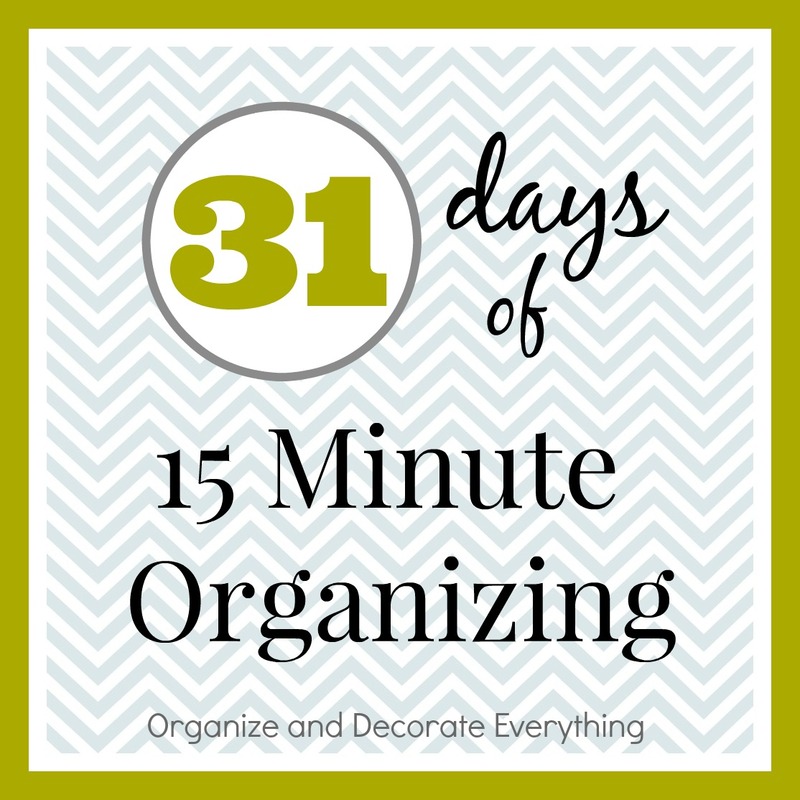 I hope you’ll be able to follow along for the next 31 days to finish all the 15 Minute Organizing challenges. 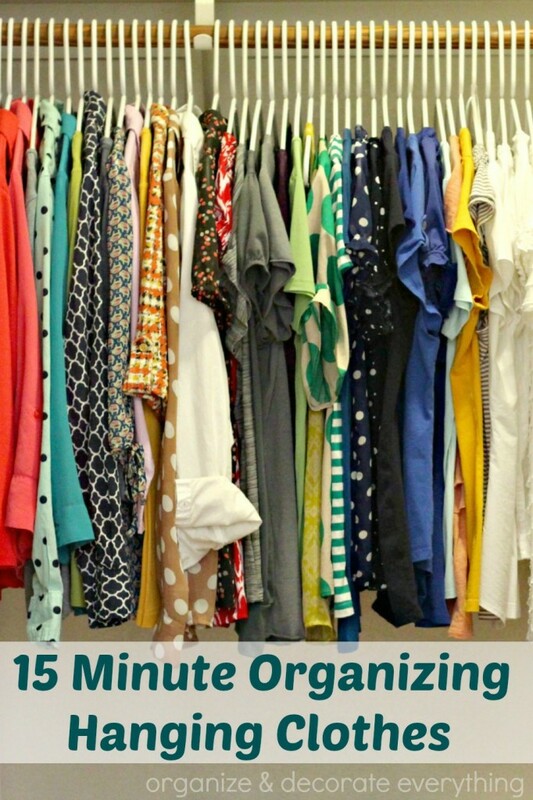 I know your days are busy but you only need 15 minutes to get a space organized. And since we’re doing it together, I hope we are a motivating each other. Great blog, thanks for sharing! Please check out our website as we share similar tips and tricks. We also provide a free pick-up service and the donations we receive are used to help veterans. I am loving this series. The dresser drawers and closets are especially timely as sometime over the next week we will be cleaning out our closet and purging. Thank you for sharing your tips.